In 2008, Disney will launch an online game site based on the Disney/Pixar film â€œCars,â€ Disney President and CEO Robert Iger said Nov. 29. Disney is going to invest substantially in these types of sites over the next few years because of their potential in growing and maintaining interest in Disney film franchises. Instead of letting film franchises die, they can continue to live online, gaining new fans. â€œYou can live with and act with Lightning McQueen for years to come,â€ Iger added. Does Ratatouille deserve Best Picture Oscar nomination? You obviously know that I agree with that fact, but it isn’t as easy as you would think to get the nomination. While Pixar pretty much has the animation Oscar in the bag already, it isn’t the case with Best Picture. If they choose to attempt to get the nomination for Best Picture then they might lost votes in the Animation category. The NYTimes has a very detailed article on the situation. I for one think Ratatouille not only deserves the nomination, but also the win. It is, after all, the best reviewed movie of the year. So what do you guys and gals think? Leave a comment! 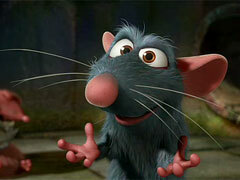 11/30/2007 | Films | Comments Off on Does Ratatouille deserve Best Picture Oscar nomination? 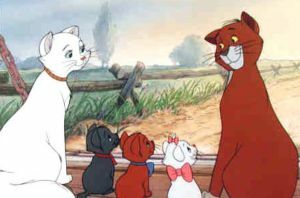 Buena Vista Home Entertainment have announced the release of The Aristocats Special Edition on 5th February 2008. Features include: 1.75:1 Anamorphic Widescreen, English DD5.1 Surround, English, French and Spanish languages, Never-Before-Seen Deleted song, Games and Activities: Disney Virtual Kitten ROM, English Read-Along The Aristocats, Disney Song Selection, Bonus Short â€“ â€œBath Dayâ€ a cartoon short from 1946 featuring Figaro, and Backstage Disney: The Aristocats Scrapbook. MTV Networks has announced plans to make every clip from every episode of South Park available for free online next year. Contrary to popular belief, offering versions of TV shows online has not hurt television ratings, and may have actually helped. “One does not diminish the other by any stretch of the imagination. That is kind of our hat trick,” said MTV Networks chairman and CEO Judy McGrath. In August, Comedy Central signed a deal with South Park creators Matt Stone and Trey Parker, and agreed to spread South Park materials across the Web, on mobile phones and video games. 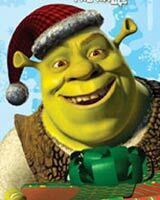 The half-hour “Shrek the Halls” holiday special on ABC scored the night’s highest adults 18-49 rating with 21.1 million viewers and a 7.2 rating/20 share. “How the Grinch Stole Christmas!” followed closely with 18.7 million viewers and a 6.8/17 share. This back to back ratings knock out gave ABC an easy victory on the last night of the November sweeps. Congrats ABC. It’s great to see animated shows do so well in prime time. Reminder: Futurama DVD out today! Just a friendly reminder to let you all know that Futurama: Bender’s Big Score is available on DVD beginning today! It is the long awaited return on Futurama so please go out and buy it. Show the network execs that we want more Futurama. They don’t care about all the emails and petitions you guys sign… they care about numbers! So go out and BUY the movie, don’t pirate it! 11/27/2007 | DVD/Blu-ray | Comments Off on Reminder: Futurama DVD out today! Check out this very funny short which shows just how far a dog will go to get the bone! GE called upon BBDO and Three Legged Legs to create an animated fable for their Imagination Theater campaign. Their answer: Samurai. It’s a tale of a pint-sized samurai faced with a seemingly impossible challenge as proposed by a behemoth Emperor and his wicked minions. 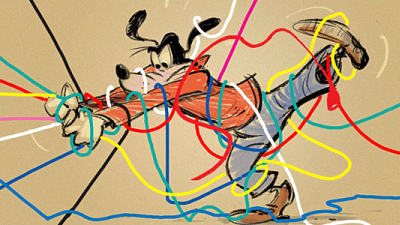 Disney has announced that he new 2D Goofy short from Walt Disney Animation Studios, How to Hook Up Your Home Theater, will make its theatrical debut with National Treasure: Book of Secrets on Dec. 21. This move shows how passionately Disney views its new animated shorts program under the leadership of Pixar’s John Lassseter and Ed Catmull. The short is inspired by the classic HOW TO Goofy shorts of the â€˜40s and â€˜50s directed by Jack Kinney and animated by John Sibley.